We are a community of people who desire to know Jesus personally and reach out with His love to those around us. Our vision here at CrossRoads is to give everyone in Central Alberta an opportunity to have a personal relationship with Jesus Christ and by following Him, compassionately impact our world. We have discovered that knowing Jesus is the most important thing in life. We want to share that with others because we know that He gives purpose, joy, peace, and hope in spiritual and physical ways, both here in Central Alberta and around the world. This is a big vision, and we all have a role to play — including you! We believe that Christianity is first and foremost about relationships rather than rules. It is about the most important relationship of all -- our relationship with God. We were created to know God and until we know Him personally, there will be something missing in our lives. Jesus Christ makes relationship with God possible. The Bible, which we accept as God's word, teaches that Jesus Christ was and is the Son of God. Some people think He was just a good religious teacher, but the Bible teaches that He was sent by God to die for our sins on the cross. The Christian faith is based on the life, death and resurrection of Jesus Christ for all of us. At CrossRoads, relationship with each other is also important; a place for you to connect and get to know other people. Come, bring a friend and experience Christian community as we worship God in a contemporary style and learn from the Bible how God wants us to live and enjoy life. Spending time in God's presence and word. Depending on the Holy Spirit to help us follow Jesus. Living at peace with one another. Serving and encouraging one another. Sharing what Jesus has done for me. Praying for God's heart, understanding and direction. Giving of ourselves and our resources. Coming together weekly to worship Jesus. Giving our whole body to Jesus daily as an act of personal worship. Setting apart one day in seven to rest in the presence of Jesus. 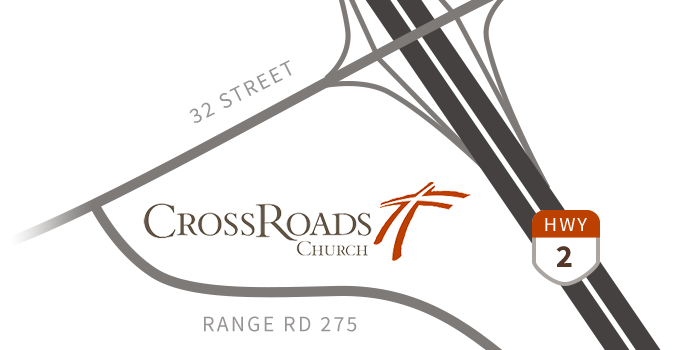 CrossRoads Church is affiliated with the Evangelical Missionary Church of Canada. Read more about our faith and practice.